This year is going to be the year of website personalization. It will become commonplace for all website owners to create data-driven online experiences that are tailored to your specific interests, based on your previous actions. With a seemingly limitless product database, finding what you want on Amazon can be quite difficult. Thank goodness for personalization. 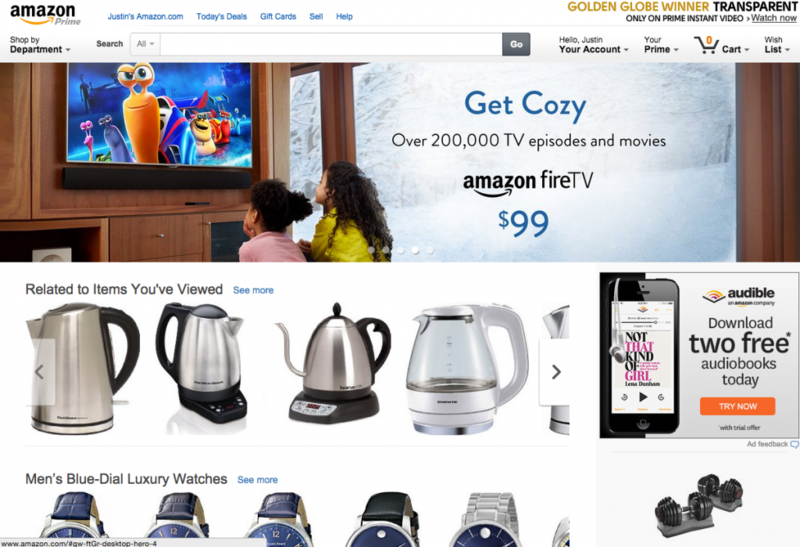 Right on the homepage, it’s analyzing my previous behavior and promoting products that it thinks I might want. When I go to a men’s clothing store, my eyes glaze over looking at all the possibilities. I often find myself paralyzed and not knowing what to by. 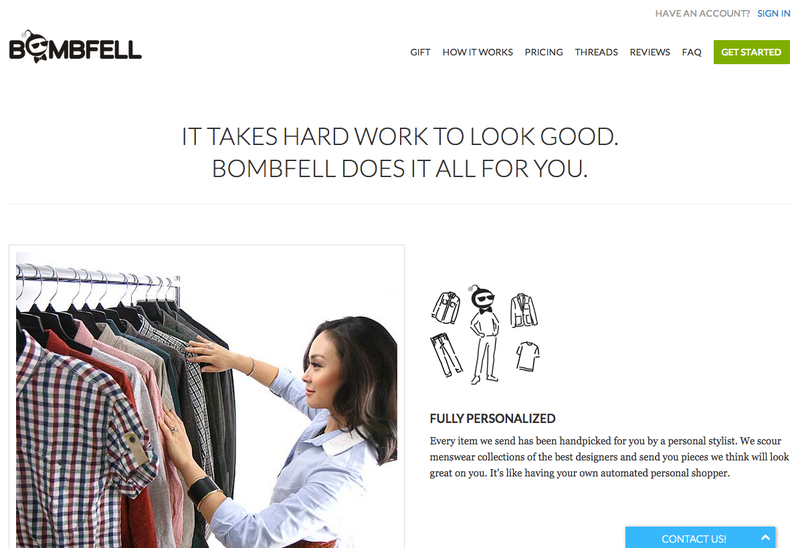 Bombfell leverages data that you provide via a style survey, compares it against other subscribers, and then with the help of a personal stylist, ships packages to its customers with styled outfits personalized to your taste, shape, and size. 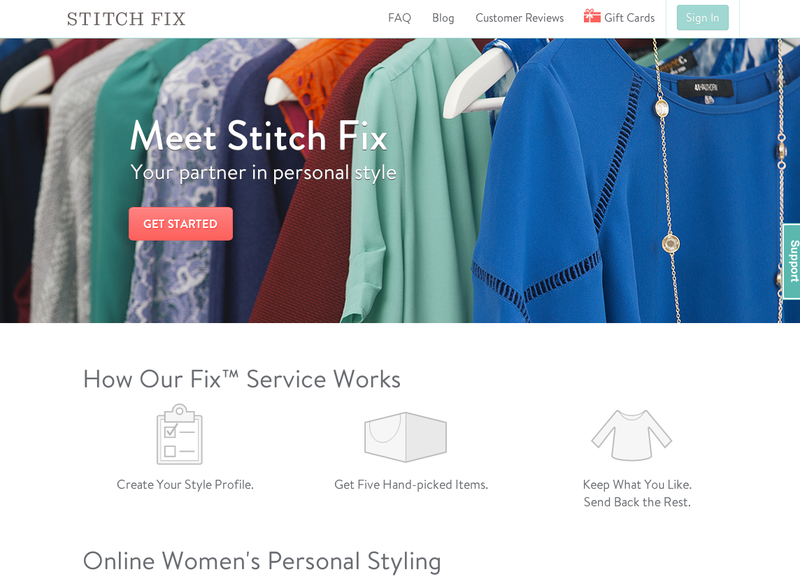 Similar to Bombfell but for women, Stitch Fix uses the information you provide about your size, shape, and personal style, compare it against others in the system, and then a stylist selects outfits that you receive in the mail. It’s a personalized approach to clothes shopping. Netflix has become a mainstay for my family when it comes to consuming movies and television. With an incredible inventory of content, Netflix uses the types of content that I’ve consumed in the past and how I’ve rated different shows to figure out what I might like and make recommendations. 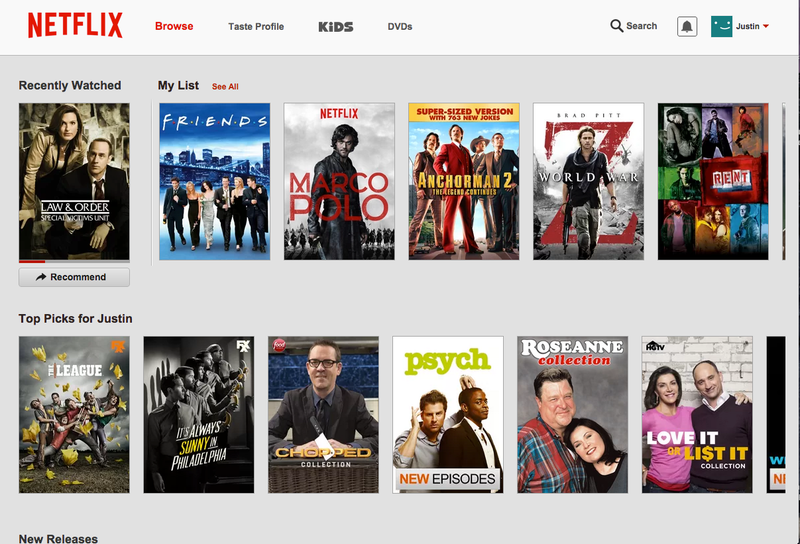 Similar to Netflix, Hulu uses data on what shows I’ve watched and told me when that show has a new episode. This is incredibly useful so I don’t have to go digging to find that new episode of Last Man Standing. It’s just right there. 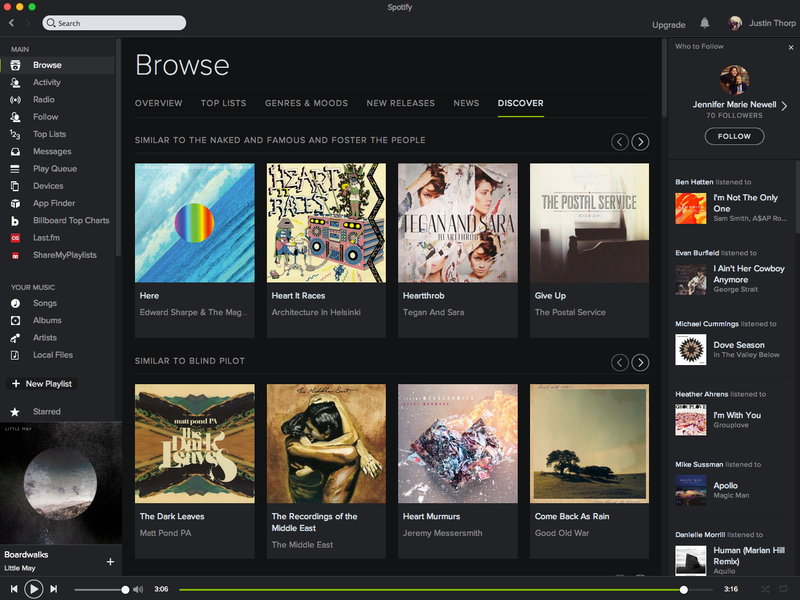 Spotify has a massive collection of music that you can choose from and listen to. They take what music you’ve listened to and make recommendations about other albums you might enjoy. Sometimes you don’t want to have to think about what music you want to listen to. You just want to hit play and listen to music you’ll love. 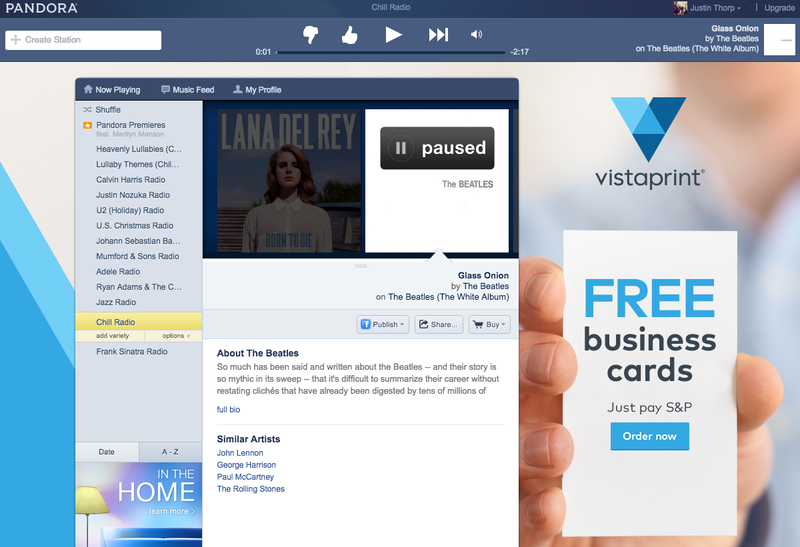 Pandora has created the ability to provide you with a personalized radio station. You provide them with a song or artist you love and it’ll find like songs and play them for you. If you want to help improve the song recommendations, you can thumbs up or thumbs down a song. Here’s an example of an ad for the online conference calling platform Speek. 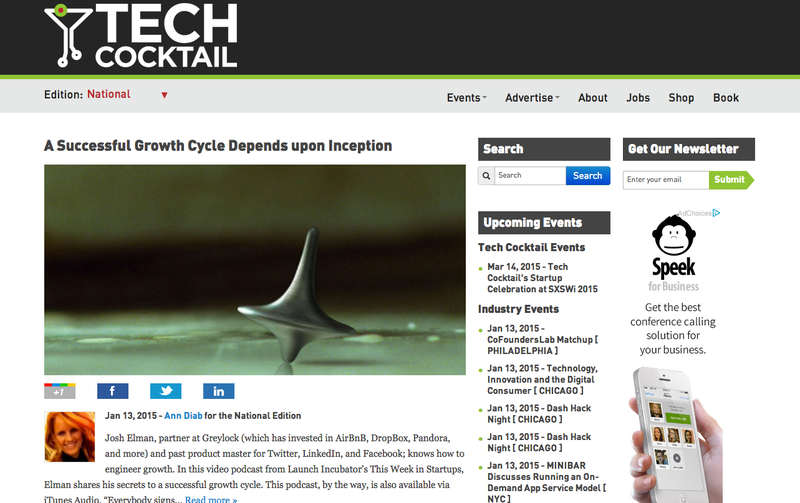 I had recently been on their site and was getting re-targeted with an ad for their app while I was on Tech Cocktail’s website. As you can imagine, I have quite a bit of interest in the world of online marketing. 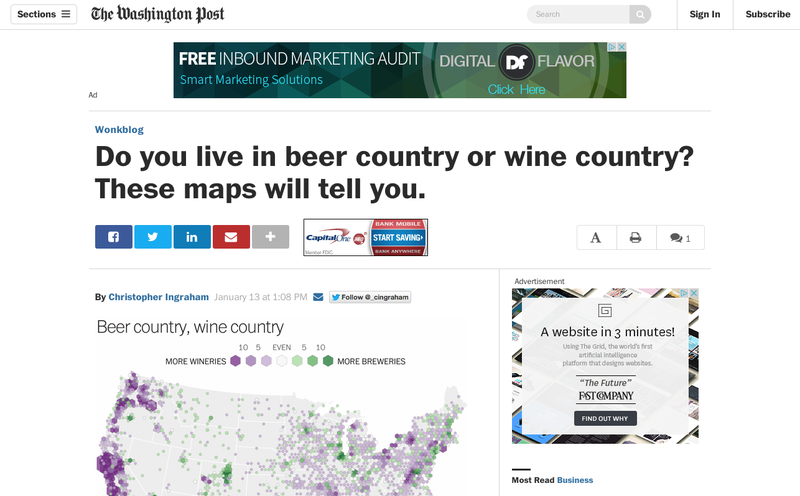 Here’s an ad for an inbound marketing audit that I received while reading an article in the Washington Post. It’s very tailored to what my interests and needs are. Let’s be honest. We’re all on Facebook all the time. 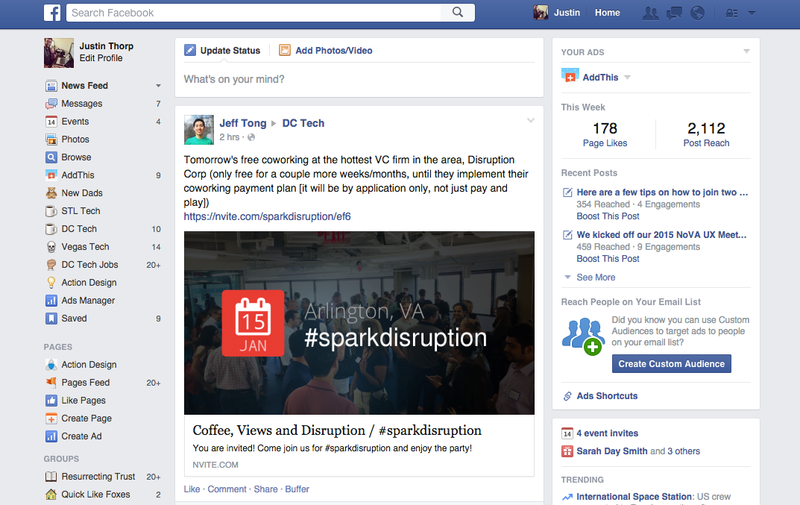 It gives me a very personalized newsfeed of what’s happening with my friends and groups. It shows me the posts that it thinks are most relevant to what and whom I want to see. 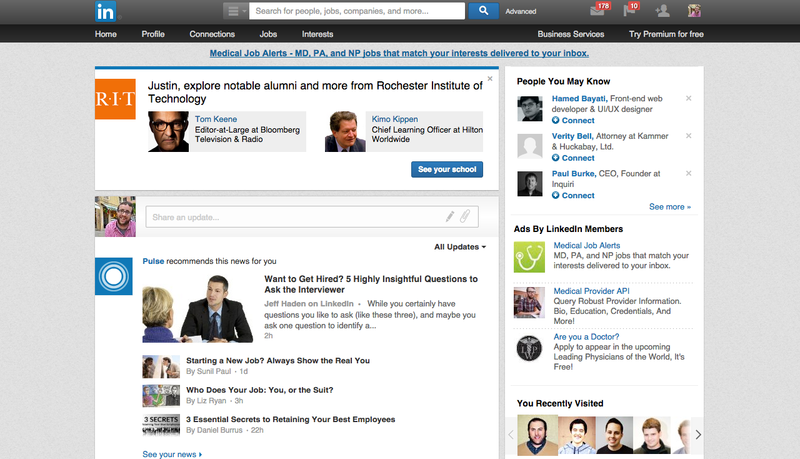 Similar to Facebook, Linkedin provides me with a personalized homepage of updates and links from my business contacts that I’ve made connections with via the app. 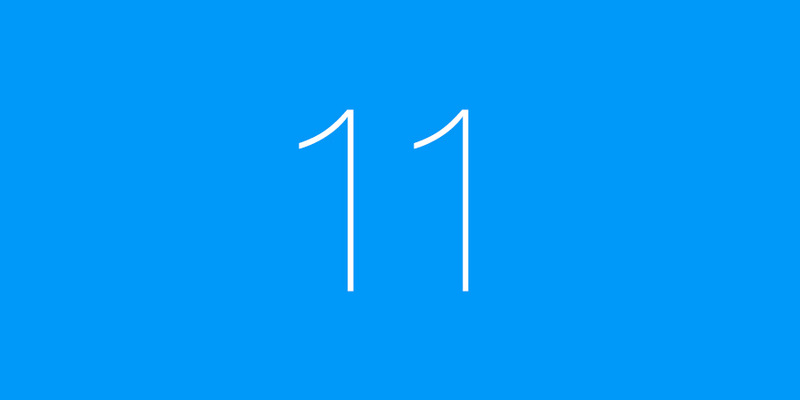 What’s your favorite example of website personalization that’s part of an app that you use on a daily basis? Drop it in the comments. Would love to hear from you.